Through the day, Huawei will present in Barcelona the flagship P10. At the same time, China has published photos of the new smartphone Huawei Nova Youth Edition. According to unconfirmed information, in the international market the device will be known as Huawei P10 Lite. 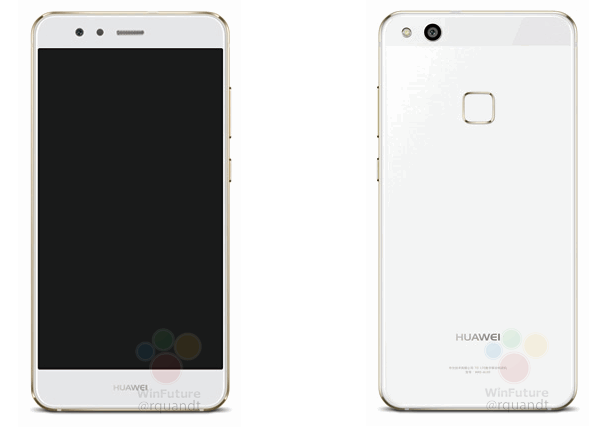 Initially the images were published online by WinFuture, and the phone is supposedly designed for one of the Chinese operators. Huawei P10 Lite’s metal frame, front panel with no physical buttons and only main camera with LED flash, which is a square sensing area of the fingerprint scanner. Huawei P10 Lite weighs 146 grams with a thickness of 7.2 mm and a built-in battery 2 900 mAh. The device works under control of Android 7.1.1 Nougat with a proprietary shell EMUI latest version 5.1. Most likely, a OCTA-core processor Kirin 655, 4 GB RAM, 64 GB of internal memory. There is a front 5.2-inch Full HD screen and 8-megapixel front camera, while the rear module on 12 MP. It is expected that the novelty will appear on sale in late March in white, black, blue and pink colors at a price around $305. You are reading an article on the Huawei P10 Lite spotted on a series of photos. All materials on the site Gadgets F, а также и статья Huawei P10 Lite spotted on a series of photos - written for the purpose of information enrichment and we are happy if you like our magazine.